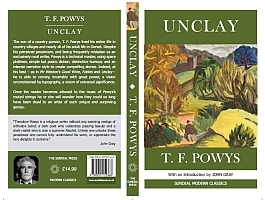 The last full-length novel of T. F. Powys, Unclay is the summation of his life’s work. Though not without precedents, the manner and the substance of this strange, compelling, not always comfortable book are uniquely his own. Written in his inimitable style – poetic and aphoristic, pared down and at the same time highly allusive – Unclay was published in 1931. It has remained one of the least read books of a great English writer, and one reason for this strange state of affairs may be the picture of human life it offers. Just a very few copies remain. Presented with lapidary finality in Unclay, Powys’s vision is deeply at odds with contemporary sensibility. Theodore Powys is a religious writer without any seeming vestige of orthodox belief, a dark poet who celebrates passing beauty and a stark realist who is also a supreme fabu­list. Unless one unlocks these paradoxes one cannot fully under­stand his work, or appreciate the rare delights it contains. The incongruous mix of writers mentioned here by Gregory underscores the difficulty, and several other seemingly ill-assorted authors could be added. Jeremy Taylor, the seventeenth-century Anglican divine and author of The Rule and Exercises of Holy Dying, was a powerful influence; the word “un­clay” that gave the title to Powys’s novel comes from a poem of Taylor’s. But Nietzsche, a furious atheist, was also a commanding presence throughout Powys’s life as a writer. Powys’s intense ambiva­lence towards religion is one of the keys to his work. One sometimes has the feeling that he views religion in the manner of the eighteenth-century arch-materialist Holbach – as a fantasy distract­ing humans from clear awareness of their true situation. Yet it is unthinkable that Powys could have shared Holbach’s dream of a world without religion. Like Freud – whose writings he read and ad­mired – Powys saw human beings as creatures animated by illusion: if they give up religion it is usually only to run after other fantasies. In any case – Powys asks – what would a human life without illu­sions be like? Though Powys is a religious writer, for him religion was not about belief. As he put it in Soliloquies of a Hermit, an early volume first published in America in 1916 in which many of the themes of his mature fictions are prefigured, ‘I am without a belief; – a belief is too easy a road to God.’ Religion – ‘the only subject I know anything about’ – is not, for Powys, a set of propositions or a creed. It is a mood, or a shifting pattern of moods, whose intimations are fleeting. Spiritual truth was best approached by silence – or else by the indirect art that Powys employs in his wonderful Fables (1929), where pots and pans converse with fleas and corpses. If Powys had any religious beliefs they were, in the terms of conven­tional Christianity, highly heterodox, even heretical. Except in the shape of mortality – which, in the figure of John Death, is the central protagonist of Unclay – there is nothing of salvation to be found in Powys’s writings. Far from death being the supreme evil – as it was for his brother Llewelyn, a consump­tive from the age of twenty-five who spent his life battling his illness – it enters the world to make the burdens of human life lighter. In Unclay, John Death is God’s messenger, instructed to “scythe” or “unclay” two inhabitants of the village of Dodder. Losing the parchment that con­tains their names, he determines to spend the summer in the village. Throughout his stay he gives and receives joy, relishing sexual encounters with the village women and rejoicing in his mis­sion of bringing release to suffering humaniy. 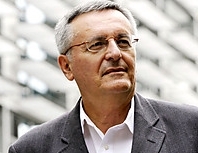 JOHN GRAY is Emeritus Professor of European Thought at the London School of Economics. He is the author of Straw Dogs: Thoughts on Humans and Other Animals (Granta), Al Qaeda and What It Means to Be Modern (Faber), Black Mass: Apocalyptic Religion and the Death of Utopia (Allen Lane/Penguin), Gray's Anatomy: Selected Writings (Allen Lane/Penguin), The Immortalization Commission: Science and the Strange Quest to Cheat Death (Allen Lane/Penguin) and other books. Are people foolish to crave everlasting life? Writer Theodore Powys' reflections on immortality capture the paradox - and downsides - of living forever, says philosopher John Gray. John Gray reflects on the paradox of immortality as captured by the writer Theodore Powys, "The longest life may fade and perish but one moment can live and become immortal." Theodore Francis Powys (1875-1953) was one of three West Country brothers whose numerous books made the family name well known during the inter-war years. 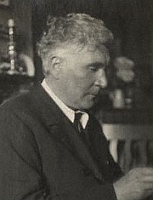 Unlike his elder and younger brothers, John Cowper and Llewelyn, he was known exclusively as a writer of fiction, in his lifetime publishing eight full-length novels and well over a hundred novellas and short stories. While living in a remote Dorset village he was to enjoy a certain vogue in the nineteen-twenties, thanks in part to the good offices of his friends David Garnett and Sylvia Townsend Warner; and his work was later to be championed in the academic world by the influential Cambridge critic F. R. Leavis. But with the possible exception of Mr Weston’s Good Wine (1927) his novels have never reached a wide public, so that this reprint of its immediate successor is all the more to be welcomed. Kindness in a Corner (1930) is among the most purely enjoyable of T. F. Powys’s books and is thus a good introduction to its author’s rustic world. On the face of it a quaint and mannered piece of amiable literary whimsy full of touches of light satire, it introduces us to an absent-minded scholarly bachelor clergyman, devoted to his books, to his armchair, and to his dinner, a man who lives in a benevolent tranquillity cared for by a tactful housekeeper and protected by the resource­ful sexton, Mr Truggin. The setting is the village of Tadnol and the author provides Mr Dottery’s parishioners with dialogue in the picturesque tradition already familiar from the novels of Thomas Hardy; and the narrative proceeds through simple statements of fact, authorial rejections and apothegms of a tendentious nature – altogether a relaxing literary methodology. The scene conjured up is just such a one as the more acidulous imagination of M. R. James had already subjected to invasions of a malign and preternatural character, and the Reverend Silas Dottery seems clearly marked out for disturbance in his serene and comfy corner. But the dist­urbances turn out to be of a humorous and farcical character rather than of a disabling kind. Working in the literary tradition both pilloried and im­mortalised by Stella Gibbons’s Cold Comfort Farm (1932), T. F. Powys had, in his early work especially, subjected his readers to a harsh por­trayal of rural brutalities. Mr Tasker’s Gods (1925), for example, is written with a ferocity that challenges comparison with the contem­porary short stories of Caradoc Evans, with their unflatter­ing depiction of narrow- minded Welsh chapel congregations; but Powys’s ferocity is unleashed on behalf of the economically exploited as much as it is of their hypocritical exploiters. For even in this, the most savage of his novels, his vision is coloured by the Christian teaching instilled in him by his par­ents – Charles Francis Powys, Vicar of Montacute in Somerset, and Mary Cowper Johnson, descendent of a family that numbered among its luminaries the poets William Cowper and John Donne. In Theodore a similar sensitivity to pain, an awareness of mortality, of natural injustice, human fears and greed, were the more pronounced for being offset by a belief in the self-authenticating power of selflessness and love. He is not a writer likely to appeal to those of an easy-going or hedonistic temperament; and for all its playfulness Kindness in Corner is a novel that deals in the profounder human issues. GLEN CAVALIERO, Fellow Commoner of St. Catherine’s College, Cambridge, is a noted poet and critic. Among his books are The Supernatural and English Fiction (1995), The Alchemy of Laughter (2000) and Charles Williams: Poet of Theology (reissued, 2007). His most recent collection of poems is Towards the Waiting Sun (2011). THEODORE FRANCIS POWYS (1875–1953) was the third of eleven children born to the Reverend Charles Powys, vicar of Montacute for thirty-one years. After a spell at farming in Suffolk he eventually left to pursue a career in writing, residing in the village of East Chaldon in Dorset from 1904 to 1940, where he wrote the novels and short stories that were to make him, and the village, famous. Powys’s first major work, The Soliloquy of a Hermit, foreshadowing all his later narratives, was published in the US in 1916 and subsequently in the UK in 1918 as Soliloquies of a Hermit. Then, with the encouragement of writer-friends David Garnett and Sylvia Townsend Warner, Powys published The Left Leg, a collection of three novellas, in 1923, followed later that same year by his novel Black Bryony. Sales were negligible but both were praised by critics. By 1926 Powys had published four more novels – Mark Only (1924), Mr Tasker’s Gods (1925), Mockery Gap (1925), and Innocent Birds (1926) – and had established himself, in his brother John’s words, as ‘one of the most arresting and formidable of writers of modern fiction.’ But he was most highly praised for the allegorical novel Mr Weston’s Good Wine (1927), his best known work. Mr Weston, Powys’s representation of God, arrives in Folly Down to sell his light and dark wines, symbolic of Love and Death – always, ‘the two great realities’ for Powys.